CNN reports the White House and Pentagon are looking for a new slate of senior officers to fill several key jobs with several senior military figures set to retire. DefSec Jim Mattis is playing a central role in making recommendations for nominations. No one knows how long the defense secretary will stay in his job or the names he is recommending. But the new crop of senior commanders could help shape military operations and policy for some years to come. The Pentagon is denying news reports that President Donald Trump is considering firing Air Force Secretary Heather Wilson, reports Washington Examiner, over her lack of enthusiasm for the new Space Force military branch. Brig. Gen. Lorna Mahlock is the Marine Corps’ new chief information officer. As DoD grapples with aging infrastructure, Mahlock says she will emphasize network and data center modernization, as well as cultivating talent, reports Defense Systems. Paul Grosklags, recently retired vice admiral who was stationed at Pax River, is on to a new endeavor. Grosklags is operating a hard cidery on his historic estate in Virginia’s Northern Neck, reports Fredericksburg.com. An open house will be held Oct. 13. The Marine Corps has been experimenting with ways to use its rocket precision artillery system known as HIMARS. Marine Corps Times reports the corps set another historic milestone: destroying a target by connecting an F-35B with a HIMARS rocket shot for the first time. The US State Department approved just under $70 billion in foreign weapon orders in fiscal 2018, reports Defense News, as the Trump administration stepped up its focus on increasing defense sales abroad. 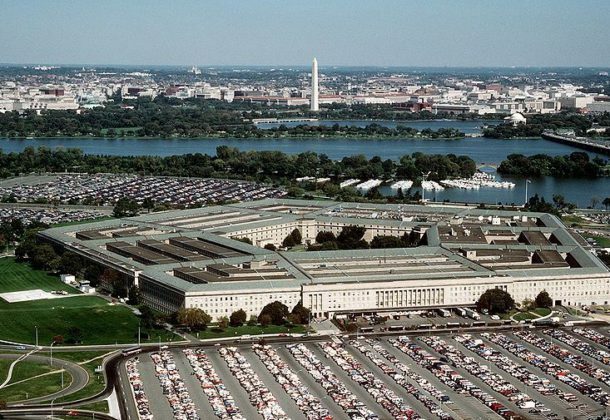 A Navy veteran has been charged with threatening to use a biological toxin as a weapon by sending letters to the president and other leaders, Military Times reports. Thirty-nine-year-old William Clyde Allen III told investigators he wanted to “send a message,” though he did not elaborate. Airbus has carried out a series of manned-unmanned teaming test flight campaigns to demonstrate the ability to control unmanned systems from a manned aircraft, reports Shephard News. The campaigns were conducted using five Airbus Do-DT25 target UAS at a test zone in Germany’s Baltic Sea area. The assistant commandant of the Marine Corps Gen. Glenn M. Walters has retired after 39 years of service, reports Marine Corps Times. He will become the 20th president of the Citadel. Gen. Walters will be replaced by Gen. Gary L. Thomas, the deputy commandant. A recent military health study, featuring roughly 18,000 randomly selected participants across each of the service branches, showed that almost 66 percent of service members are considered to be either overweight or obese, based on the military’s use of body mass index as a measuring standard, reports Military Times. Broken down by service, the 2018 RAND report lists the Army as the branch accounting for the highest percentage of overweight troops. Lockheed Martin revealed its concept for a reusable, single-stage spaceship capable of ferrying four astronauts between lunar orbit and the surface of the moon, reports Space.com. 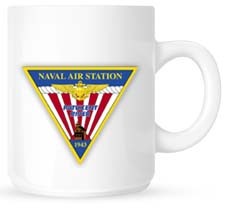 PAE Applied Technologies LLC, Arlington, Virginia, is awarded a $24,292,143 cost-plus-award-fee modification to previously-awarded contract (N66604-05-C-1277), increasing the cumulative total value of the contract for operation and maintenance services for the Atlantic Undersea Test and Evaluation Center (AUTEC). AUTEC is the US Navy’s large-area, deep-water, undersea test and evaluation range. Underwater research, testing and evaluation of anti-submarine weapons, sonar tracking and communications are the predominant activities conducted at AUTEC. The contractor performs services required to perform AUTEC range operations and maintenance of facilities and range systems. In addition, the contractor is responsible for operating a self-sufficient one-square-mile Navy outpost. This modification increases the total value of the contract to $788,075,722. Work will be performed on Andros Island, Commonwealth of the Bahamas (82 percent); West Palm Beach, Florida (18 percent); and is expected to be completed by September 2019. No contract funds are being obligated at this time. The Naval Undersea Warfare Center Newport Division, Newport, Rhode Island, is the contracting activity. Jacobs Technology Inc., Tampa, Florida, has been awarded a contract modification P00017 on contract HTC711-17-C-D001 in the amount of $18,940,678. This modification provides continued Information Technology Service Management Enterprise support to the US Transportation Command (US TRANSCOM). Work will be performed primarily on-site at Scott Air Force Base, Illinois, and other locations: DISA DECC, St Louis, Missouri; USTRANSCOM Office, Washington District of Columbia; JECC, Norfolk, Virginia; and the Pentagon. The option period of performance is from Oct. 1, 2018, to Sept. 30, 2019. Fiscal 2019 transportation working capital funds operations, operations and maintenance and Defense Health Program funds were obligated at award. This modification brings the total cumulative face value of the contract to $48,981,052 from $30,040,374. US Transportation Command, Directorate of Acquisition, Scott Air Force Base, Illinois, is the contracting activity.